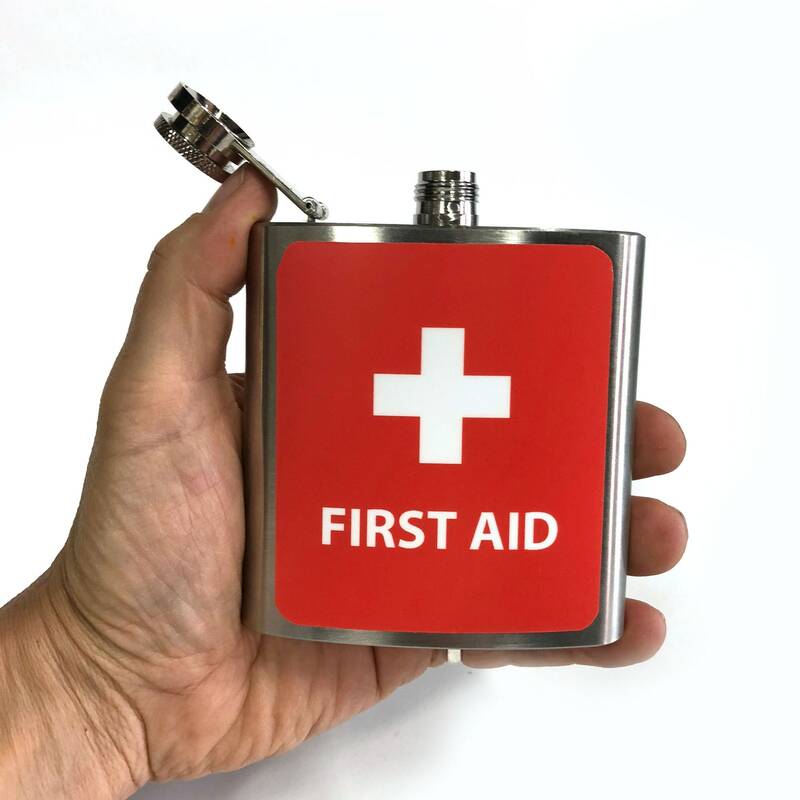 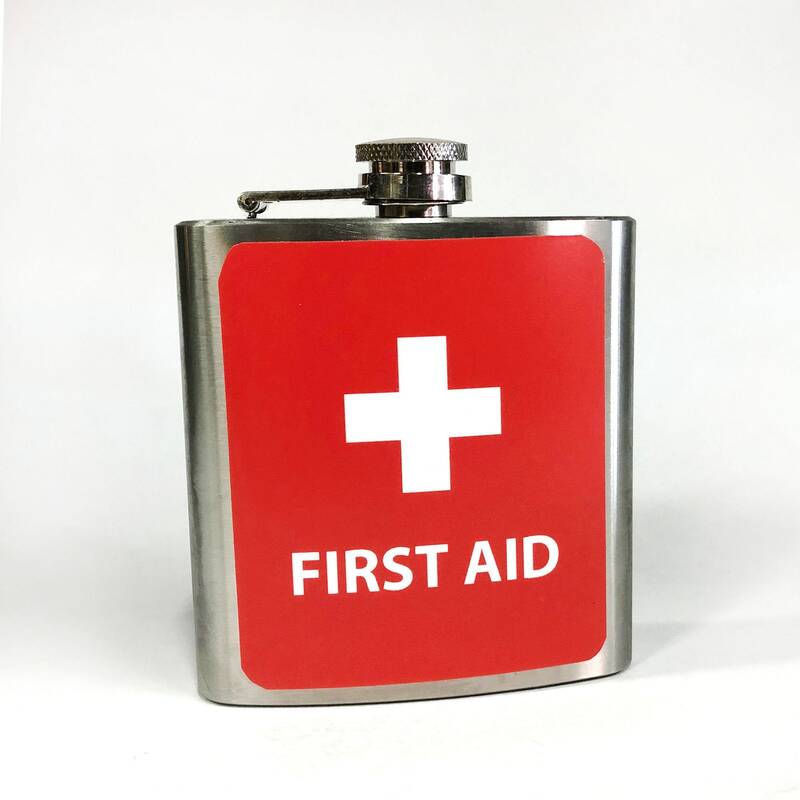 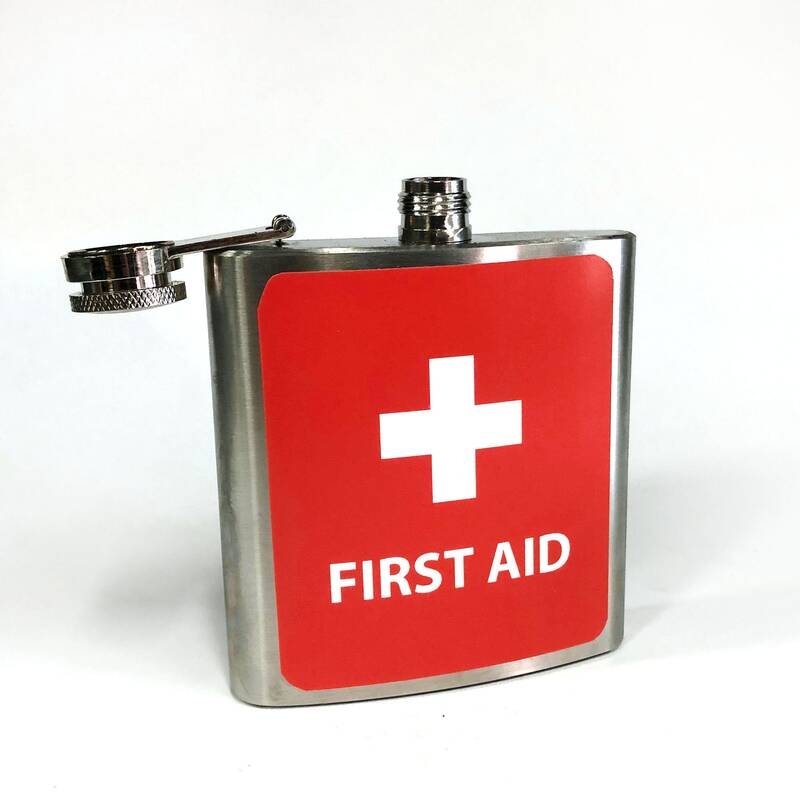 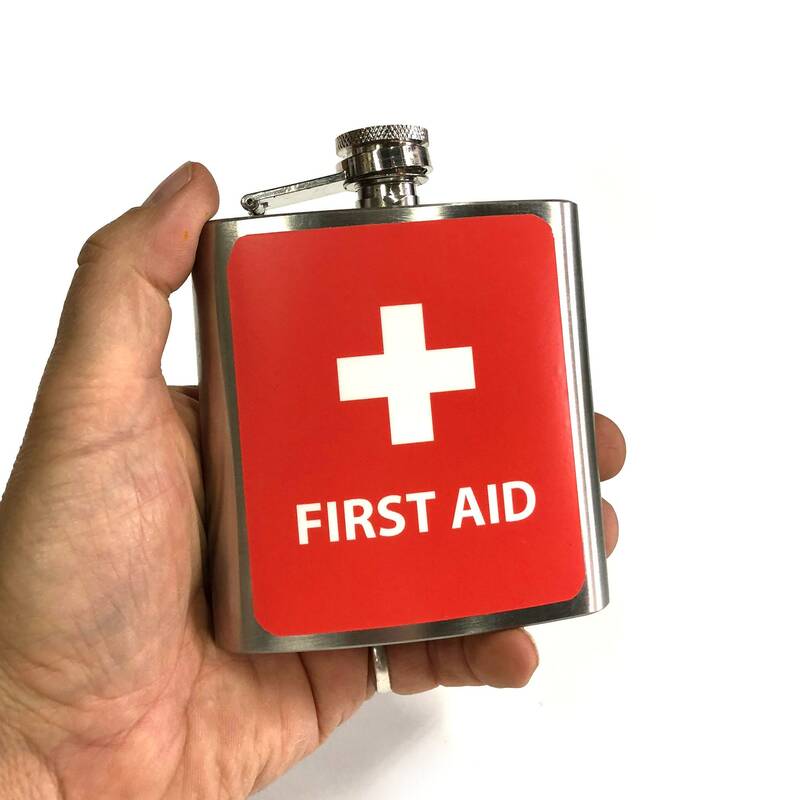 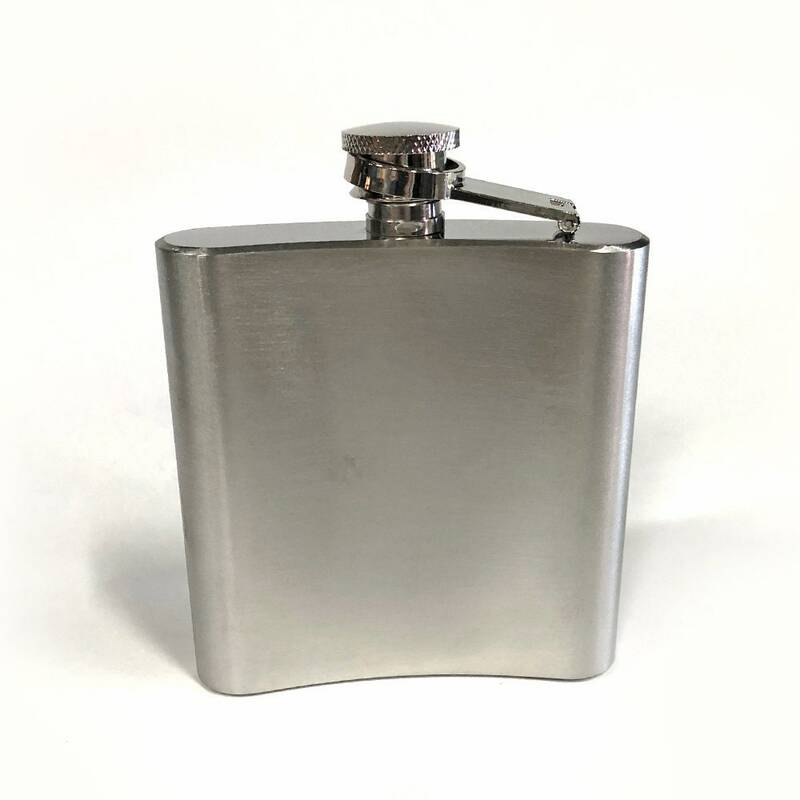 First Aid flask for your "emergency fix" Stainless Steel 6 oz. 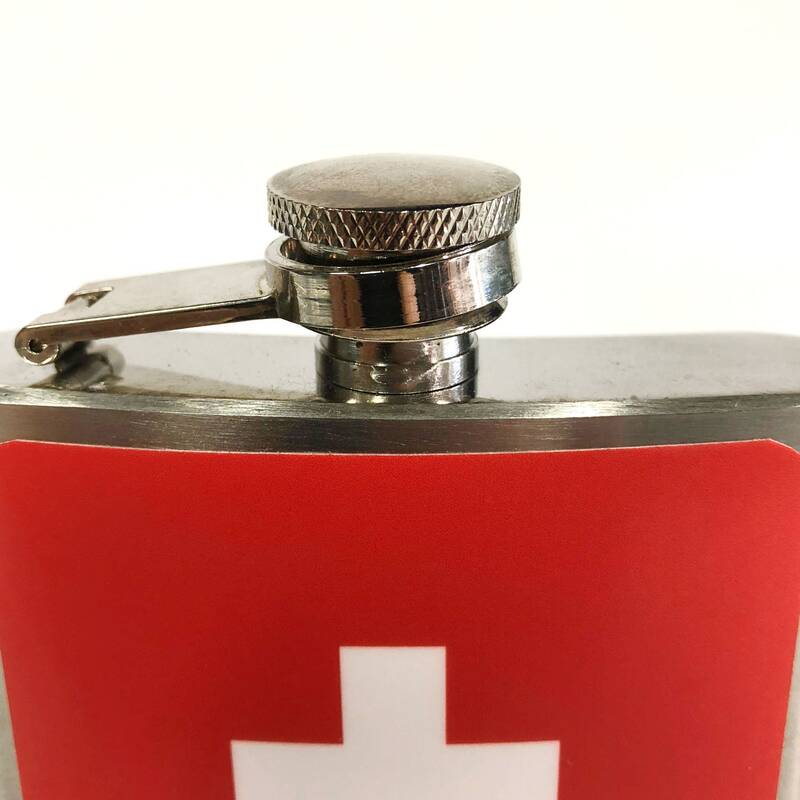 Flask. 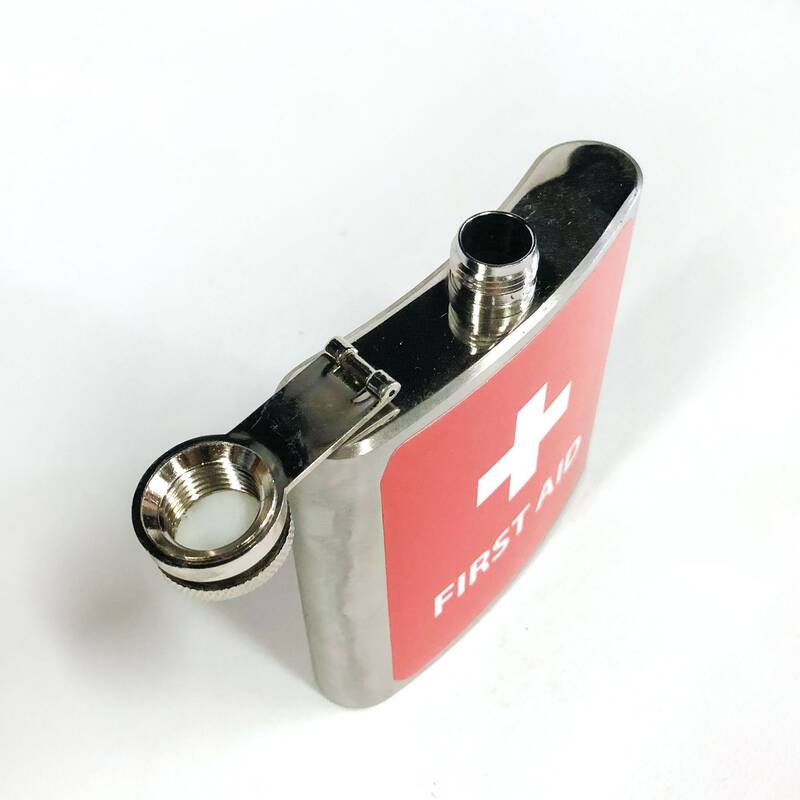 3.75" tall, 3.75" wide.